Paint your Pet Night from 6-9pm on Friday, July 31 . . . Don’t worry! You do not need any drawing skills…we are going to cheat along the way! Bring an 8 X 10 photo of your pet on plain printer paper. 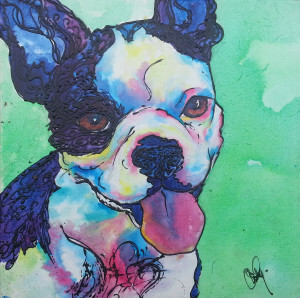 Christy will let you choose how you want to paint your pet! She will have acrylics, watercolors and her fun drawing tube paints available. We are going to keep it simple, fun & full of color! $50. Register at www.christystudios.com or by calling Christy at 773-235-5600.